Show off your projects with this cute and vintage looking hanger. 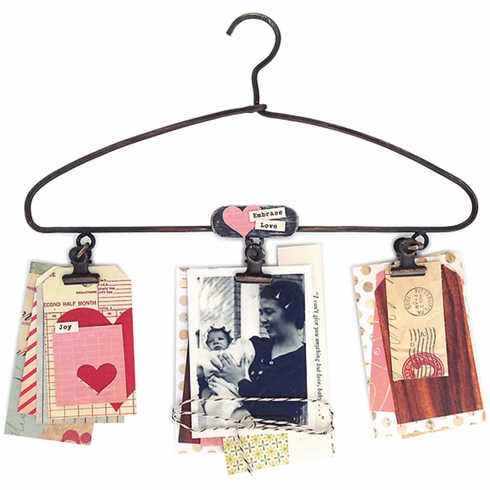 Project hangers let you clip your tags; photos; layout; quilts and canvases to display. This package contains one Antique Black 6-1/2x10-1/2 inch hanger with three clips.